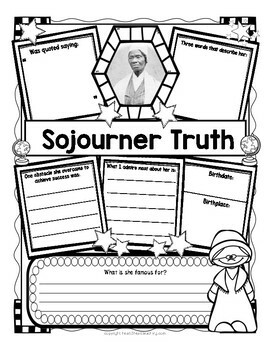 Is your class studying and researching about influential women for Black History Month or Women's History Month? 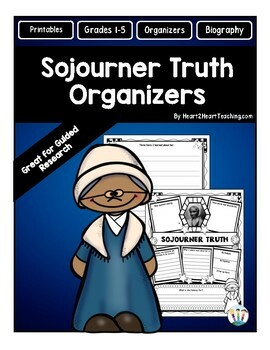 These custom-created Sojourner Truth organizers will be the perfect organizers to use for your research! 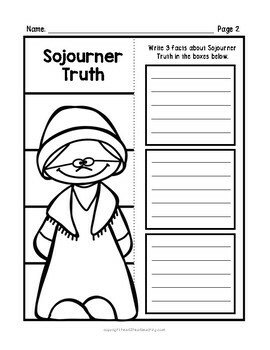 Are your students researching and learning about one of the most influential women in American History? Then these THREE graphic organizers are just for you! An answer key is included in this pack. Just copy them back to back...Easy for you to prep and easy for students to use! Subscribe to our NEWSLETTER to gain access to our FREE Library of Classroom Resources, special giveaways, and to see our products in action! ***Please know that I spend a lot of time researching, creating, writing, and proofreading my work but even after several revisions there may still be a typo or grammatical error. Please let me know if you find a typo or feel that a correction is needed. Just click on the Ask a Question section or email me at heart2heartteaching@gmail.com versus leaving negative feedback so that I can fix it as soon as possible. I value your input to make my products the highest quality possible. Thank you in advance for your help and support! 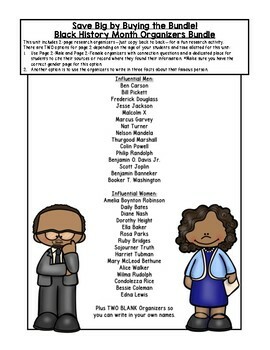 **You may print for your personal, classroom use, and non-commercial use only. **Clipart, graphics, photographs, found inside this product are copyrighted. They may not be extracted from this file without written permission from the original artist(s).